Contact Magic Strollers at http://www.magicstrollers.com?aCode=DFB or toll free at 1-866-866-6177. Only offer City Mini Single Strollers by Baby Jogger and City Mini Double Strollers (side by side) by Baby Jogger. The City Minis are a little smaller and narrower than standard strollers. Weight limit is 50 lbs. and not suggested for children taller than 45 inches. Rates are $15 for the first day, $8 each additional day for the Single Strollers and $25 for the first day and $9 for each additional day for the Double Strollers. Rain covers are given at request with no charge, but quantities are limited. 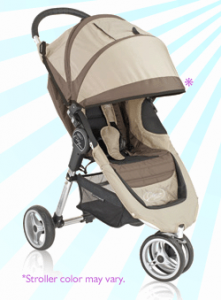 Strollers are delivered free to all Disney Resorts and delivery is offered to many off property sites as well. You will receive a text message on your cell phone when your stroller is delivered. Your credit card is charged 14 days prior to your arrival. You will received a detailed e-mail confirmation of your order. 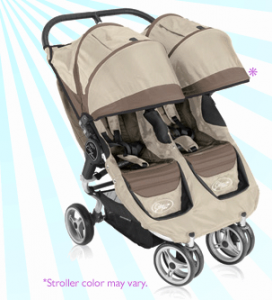 Their strollers are thoroughly cleaned and sanitized between each use. They use commercial grade cleaning and sanitizing products from ECOLAB. They attached a 4×6 card to the handle bar with your name, date of arrival and name of resort on it.